Grab your seats fast! This event will no longer be free in the future. 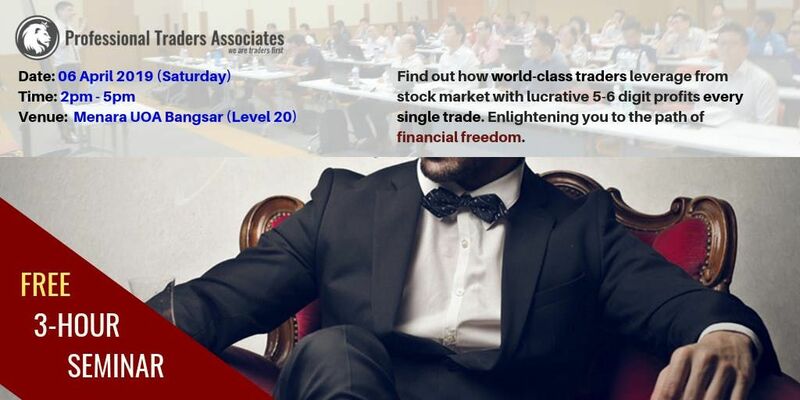 This is a 3-hour event where you will learn how to generate a second source of income through the financial market. Many people do not realise the need for a skill-set to generate an alternative source of income. They have the illusion that their full-time job is secure and more than enough to cover their expenses. Is their job really secure? In this 3-hour seminar, you will find out the state of our current economic climate and why you should be prepared for the looming crisis. Not only will you learn how to protect yourself when recession strikes, you will also discover how you can profit from it massively. 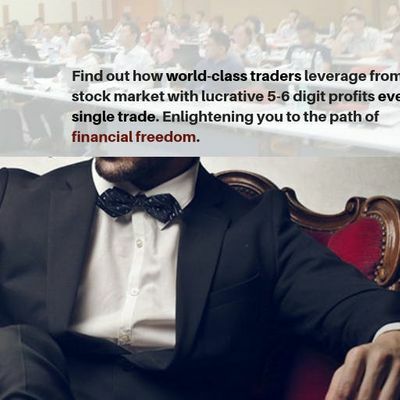 Professional Traders Associates will also reveal our high precision trading system with proof of how we generate 5 to 6-digit profit in EVERY SINGLE TRADE. Trading is a skill that can be learnt by anybody. We have trained people with no financial background or education into successful traders. You just have to demonstrate a high level of commitment, discipline and control to be successful. Keen to know more? Join our seminar and hear it directly from the professionals.